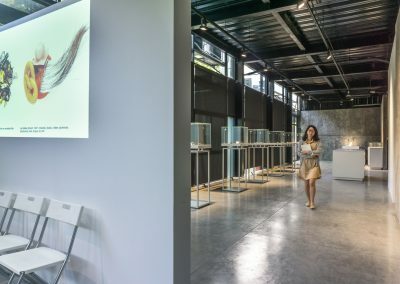 External view of the San W Gallery and Studio in Shanghai, China. 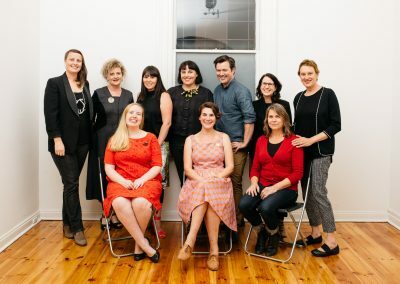 Photograph David Campbell. 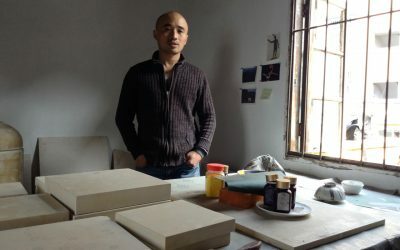 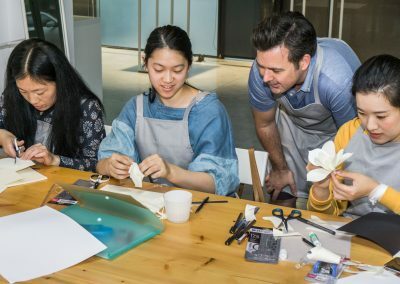 Guildhouse has established a partnership with Shanghai-based Yiwei Art Foundation that will provide opportunities for artists in both South Australia and China. 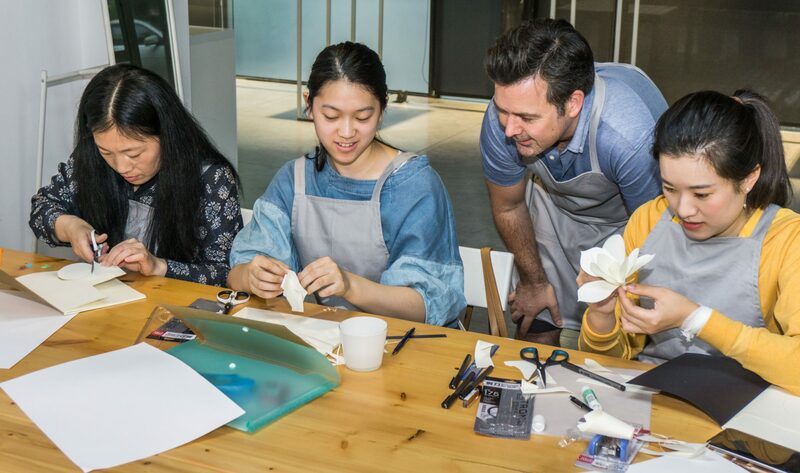 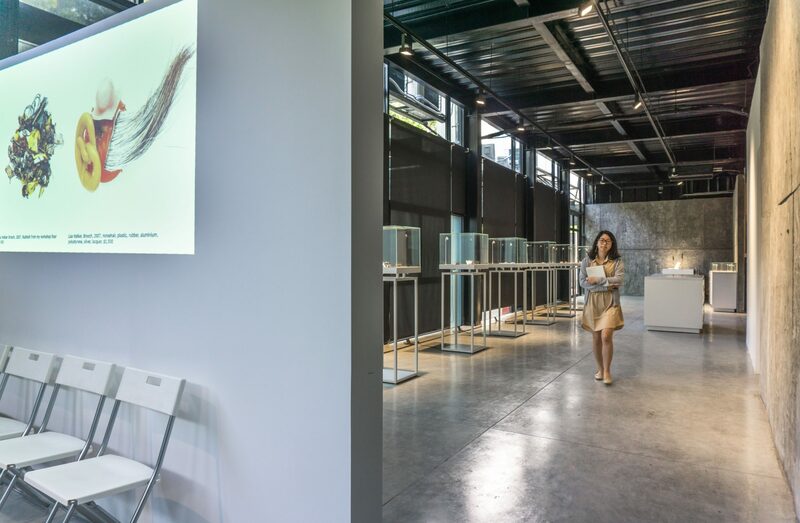 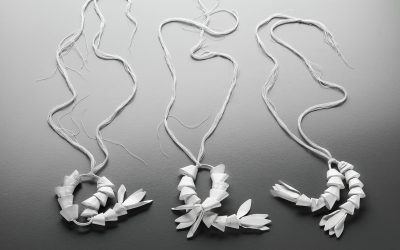 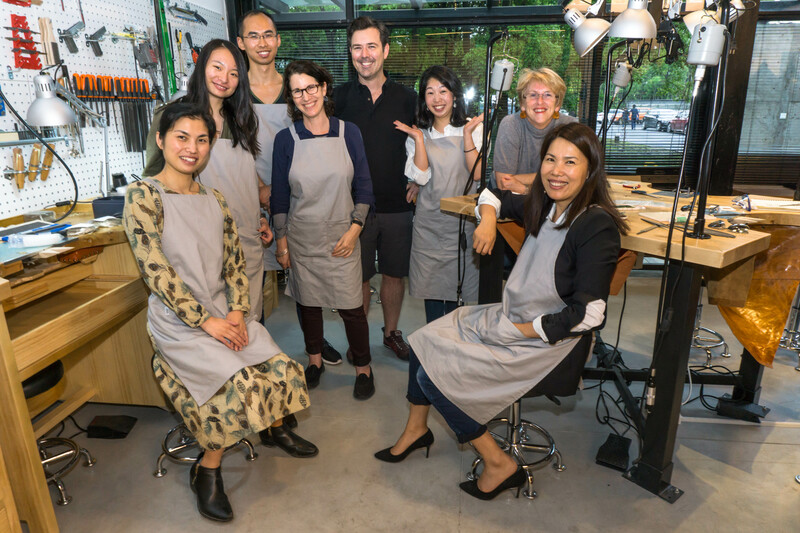 Building on the success of two exhibitions at the 2014 Art Shanghai art fair this partnership includes opportunities for South Australian artists to travel to China to develop their work and participate in residency exchanges and exhibitions. 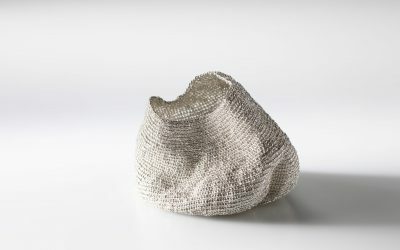 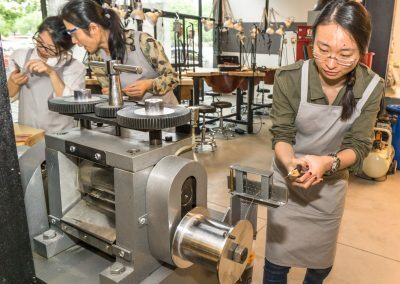 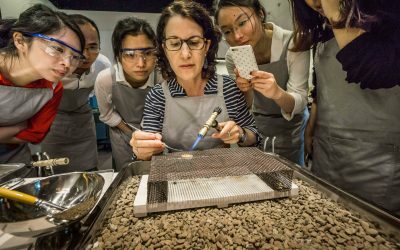 The residencies allow research and development of traditional arts and crafts practice along with new technologies in collaboration with craftspeople and designers in China. 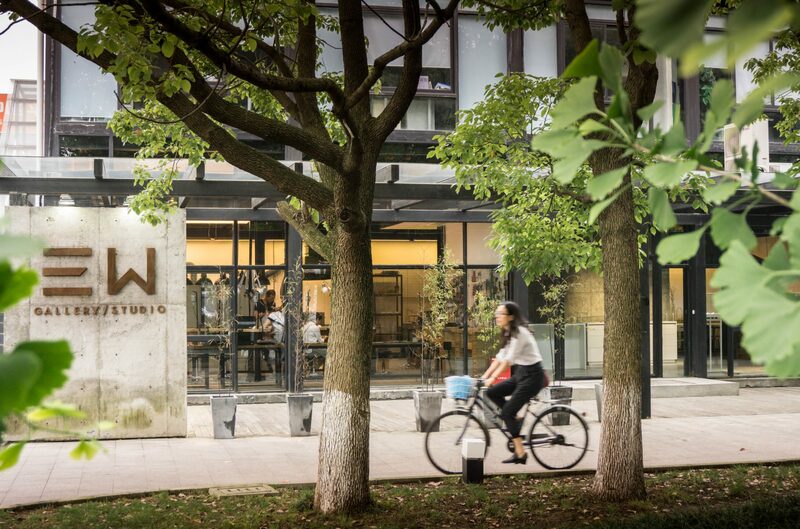 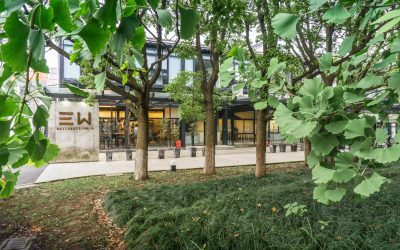 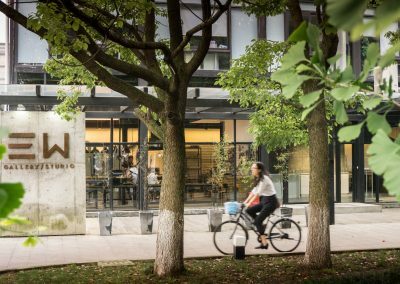 The purpose-built San W Studio in Shanghai provides facilities for the creation of ceramics, glass and jewellery. 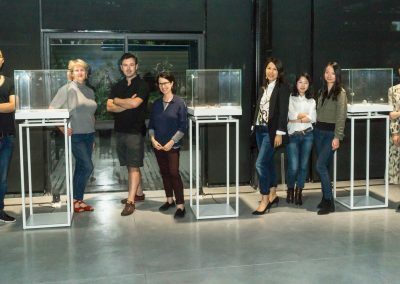 Our ongoing relationship with the Yiwei Art Foundation has led to many important opportunities for South Australian artists to broaden their audience through exhibition, teaching, sales and residency opportunities in China. 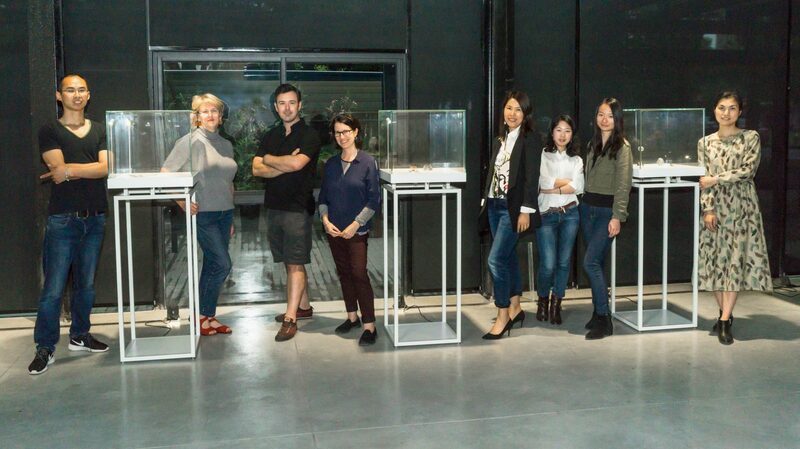 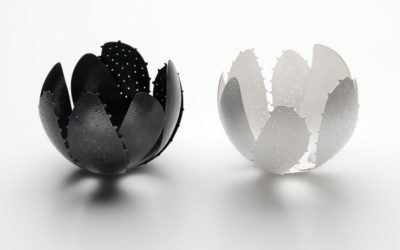 Most recently Lauren Simeoni and Kath Inglis have held solo exhibitions at San W Gallery, Regine Schwarzer has delivered a series of workshops and Jess Dare, Christian Hall and Frank Bauer were featured with San W Gallery at Design Shanghai. 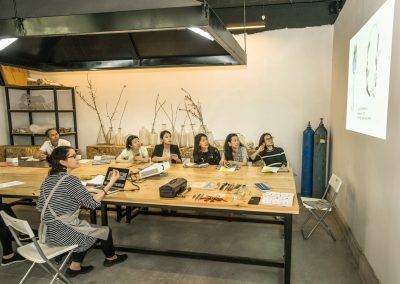 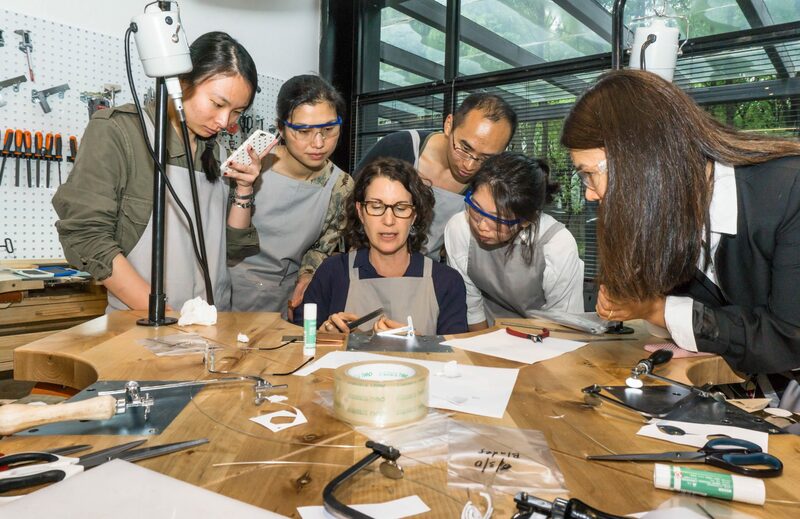 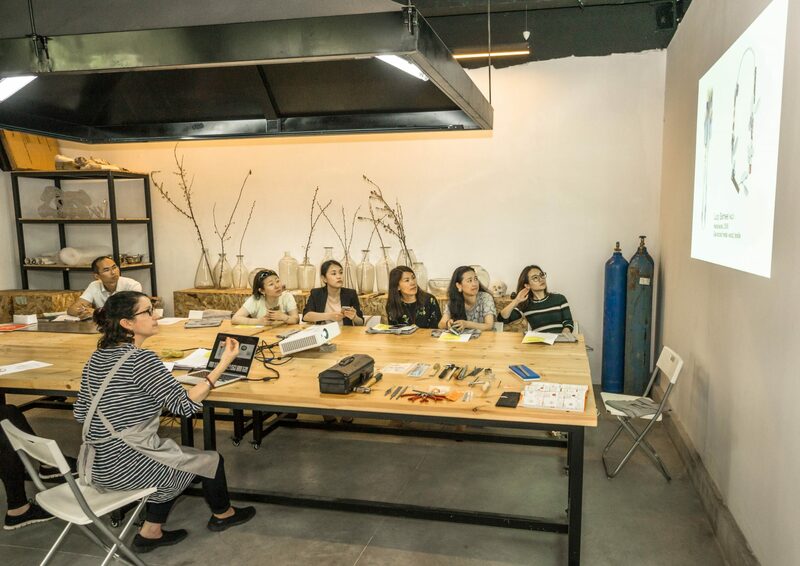 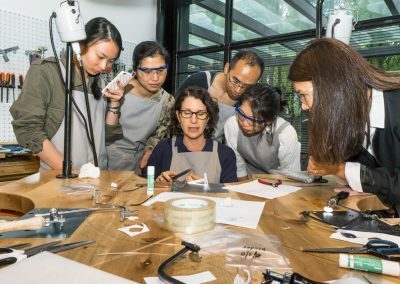 Guildhouse collaborated with San W Gallery and Studio to develop the studio to be a world-class facility to run jewellery workshops for beginners and master-classes for established artists. 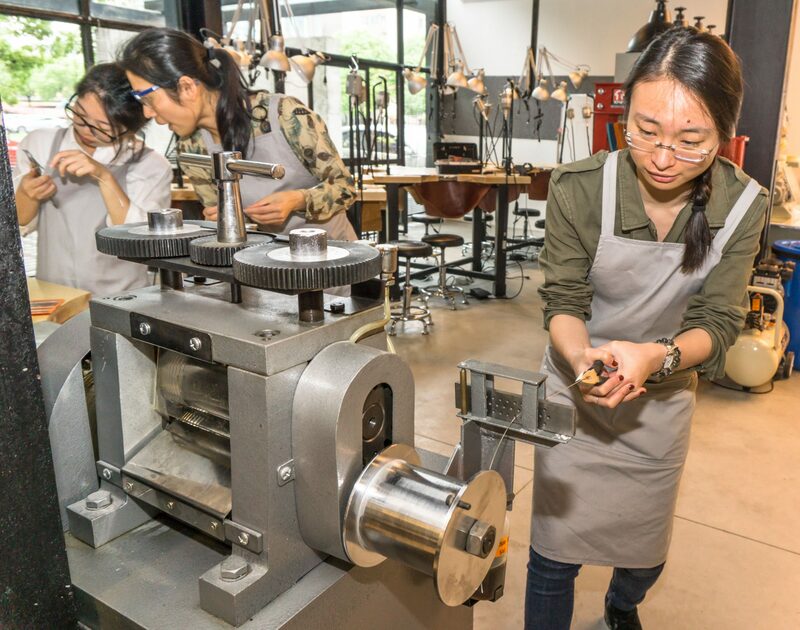 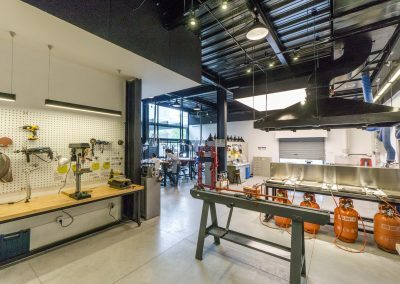 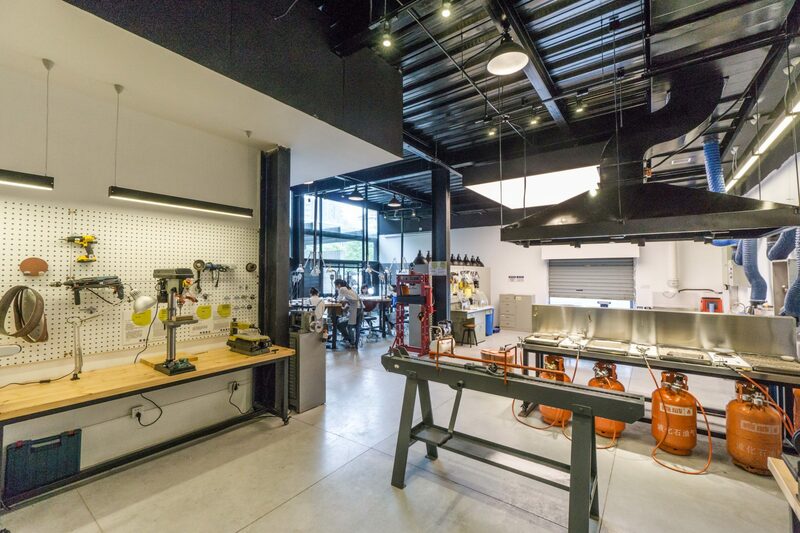 The studio will also accommodate making in metal and small components in glass and ceramics. 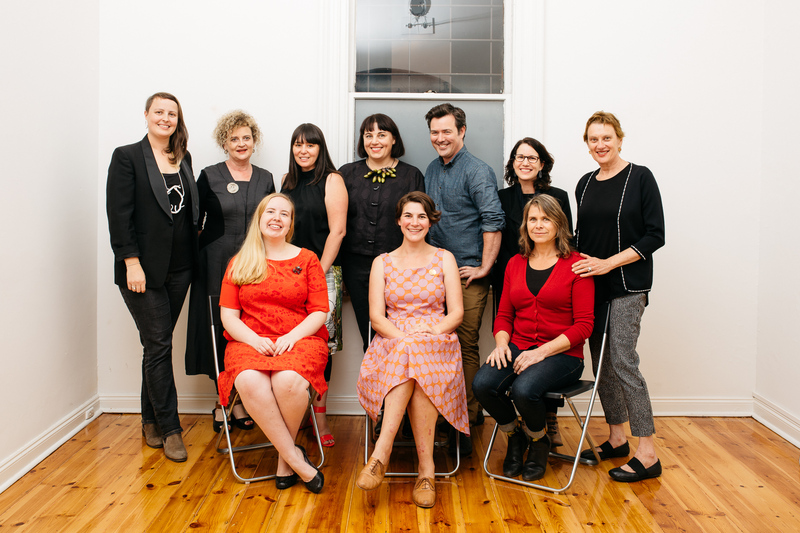 Five South Australian creative professionals have developed and helped implement the plans for the studio. 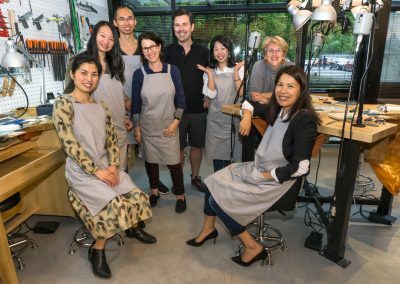 Jeweller’s Jess Dare, Sue Lorraine led the planning for the metal and hot flame work facilities, Kirsten Coelho led the ceramics section and Deb Jones made recommendations for the glass casting facilities. 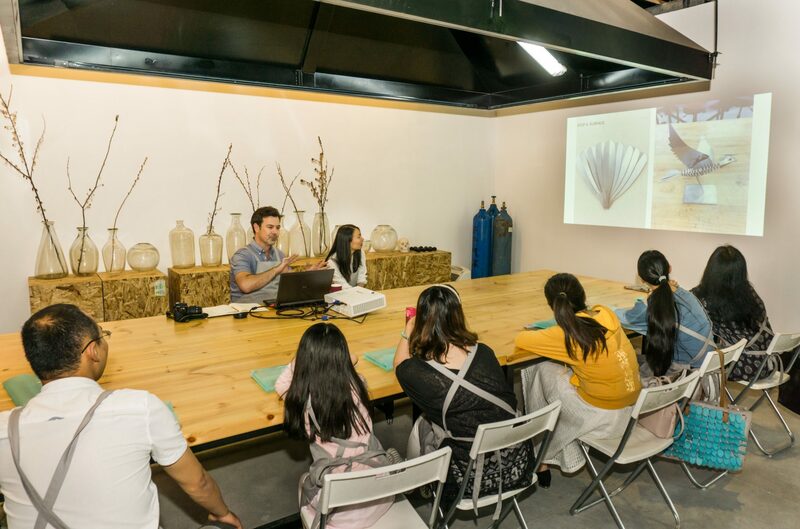 Lighting expert Geoff Cobham advised on lighting of the whole facility. 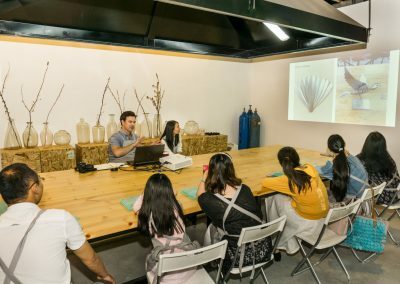 Christian Hall, Head of Metal at JamFactory was commissioned to go to China to set up the studio and Leslie Matthews trained San W Gallery/Studio staff. 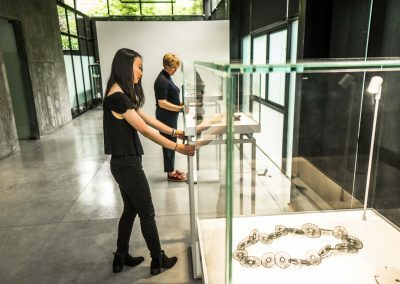 The Gallery is a fully equipped exhibition space where the Nature exhibition with eleven South Australian jewellers was shown.